What is the SGM Way? It’s the art of delivering an “Extraordinary Experience” to our clients and team members. At Schill Grounds Management, we believe that Extraordinary Experiences come from Extraordinary People and that the foundation for Extraordinary People is an Extraordinary Culture. 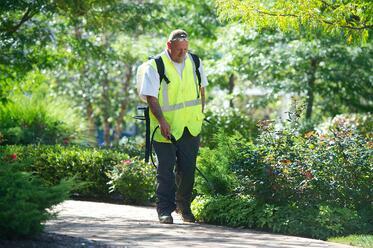 We invite you to experience our Extraordinary Culture and discover what sets us apart from other landscaping companies. With perks running the gamut from monthly incentive bonuses, employee appreciation events, and year-round employment opportunities all the way to career development training and a full benefits package, we believe in investing in Extraordinary People. We think there is no better way for students get a feel for our culture and begin their career than through an SGM internship. Let us help you translate your classroom learning into real world, industry experience! What will you gain from a Landscaping Internship at Schill? A paycheck - earn money while building your skillset and enhancing your resume! What types of internships are available at Schill? We have two distinct programs available, depending on where you are in your education and career development. This program is designed to give you a well-balanced experience in all aspects of running a commercial landscaping business. Landscape Maintenance - tree and shrub care, pest identification, irrigation systems, equipment operations, etc. Landscape Enhancement - plan reading, planting, equipment operation, etc. Landscape Operations - crew management, inventory, materials, sourcing, etc. Account Management/Sales - site reviews, proposals, contract set-up, etc. If you have a defined career path in mind and have previously completed a rotational style internship, this program is for you! We have opportunities for you to have an in-depth learning experience in Operations Management, Account Management/Sales, and Maintenance or Enhancement Crew Management.